Learn how to enjoy a vegan diet without breaking the bank! Buying the right ingredients from the right stores can help cut costs without cutting flavor. 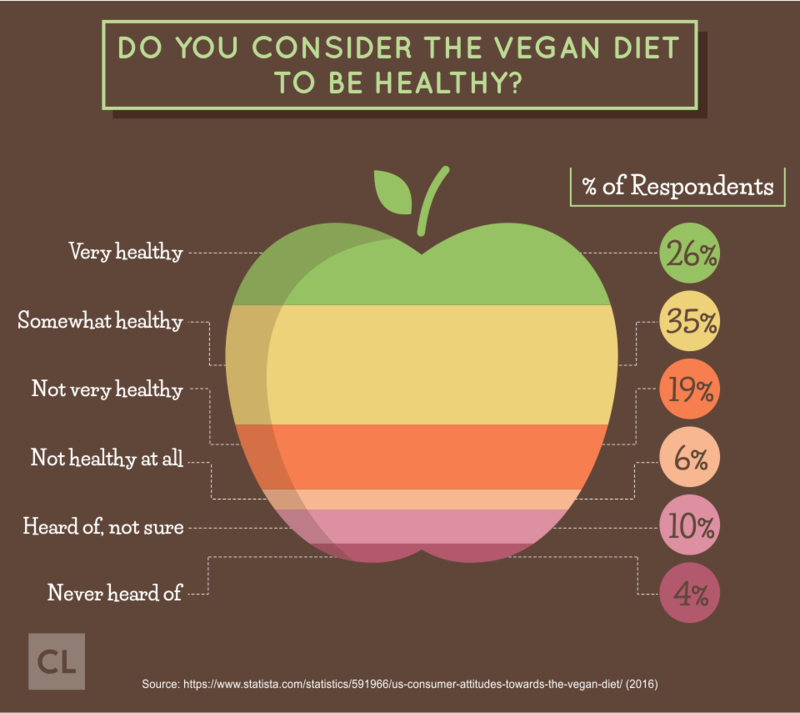 Over the past few years, veganism has exploded to the point where, as of late 2017, roughly 6% of Americans identify as having a vegan diet. And that number could be even larger if it wasn't for the common misconception that going vegan can put a serious dent in your bank account. But for those really considering plant-based diets, know this: Veganism isn't just affordable, it also can be delicious, and might actually end up saving you money! Not only can you afford to eat vegan—you can afford to eat vegan well. A vegan diet, even a gourmet one, can be affordable for everyone. Believe it or not, you can enjoy nutritious vegan meals without breaking the bank! Follow this step-by-step playbook and you will see that you too can eat a luxe vegan diet on a mere $30 a week. A meal plan is the foundation for a healthy, affordable, and tasty vegan diet. It helps you stay on budget and simplifies meal preparation, all while avoiding waste. When you make a weekly meal plan, you'll purchase the right items and the exact amount needed. If you waste food you have bought, you're wasting money. A weekly plan will keep you from doing either. A meal plan is like a budget for your stomach, it keeps you on track and focused every time you're at the grocery store. Add every meal of the day to your plan—breakfast, lunch, and dinner. Even snacks! Keep it simple—a routine means control and balance. If you keep the basic outline of your weekly meal plan simple, it will make it easier to work with. In fact, you might already find that most mornings you eat the same thing—oatmeal, cereal, fruit, hot beverages, smoothies, nuts. If that's the case, simply put those things into your weekly meal plan. But just because it's simple doesn't mean it can't have flavor! I can eat oatmeal every day for a week, as long as it's a different flavor each time. Your base will usually be the same, but that's where condiments, spices, and even side-dishes can switch things up! It's all about what you bring to the table—literally! Recipes kill monotony. It's easy to cook up a quick pasta every day after work, but let's face it: you don't want to eat the same thing every day. Spend a bit of time researching new recipes and it will pay off big time in the form of delicious, diverse meals on your table. If your schedule allows for it, experiment once in a while to keep things exciting. If you have a busy week ahead, simple and easy meals should be your goal. Even as you push for variety, you should still be focused on how much you spend. The goal of a healthy and cheap vegan diet is to save money on staples and non-perishables and to plan sensible menus that will be healthy and delicious. Pick the money savers. If you're following our advice, some food might start appearing on your table more than others. Starches like pasta and potatoes are a big one. They save money since they're low cost, and save time since they're simple to prep and cook. Soups and stews are big money savers for any diet. When water is the main ingredient, chances are you're saving money. Grains, beans, and greens aren't just side-dishes, and if you buy them dry, they might be one of the cheapest items pound-for-pound in your pantry! Once you have a menu plan, go through it and write down every ingredient you will need. Then, take the time to check your cupboards and fridge before you shop! There is no point buying anything that you already have at home—you will be wasting money if you do. Also, if you find cheaper alternatives to ingredients you normally use, go with those! The internet can help you keep track and make lists. You can find lots of vegan meal plans and ingredients shopping lists online. You can download a plan that includes suggested meals or you can download a simple template and personalize it with the meals you want. Ingredients are the main cost to consider when cooking for a vegan diet, so make sure what you cook with is saving you money. If you're going to be eating from budget vegan recipes, you'll need to be buying budget vegan ingredients. 50% of your weekly grocery budget should be spent on vegetables and fruits. You can also add raw vegetables to salads, in sandwiches, or to use with dips. Purchase a few leafy greens for salad bases and sandwiches and you're good to go! You'll also want a variety of fresh or frozen vegetables that are good for steaming, sautéing, stir-frying, and even roasting. 20% of your budget should be spent on cheap and nutritious staples. Rice, quinoa, couscous, pasta, legumes, beans, lentils, oatmeal, and the list goes on and on. Whoever said vegans don't have options when it comes to food? Grains and starches are going to be a big part of your diet if they aren't already, so make sure that's where you're saving some serious money. How economical are these staples? One pound of lentils will make up to 10 bowls of soup. Meanwhile, one cup of brown rice will yield 1.5 cups of cooked rice, enough for 3 to 4 meals. Staples are not only a great value—they are shelf-stable. Stock up on staples when they are on sale and they will last you for weeks or even months. 20% can go to other items. Just because you're vegan doesn't mean you'll only be eating grains and vegetables. Some of your food budget can be spent on spices and condiments as well as beverages, nuts, and seeds. 10% can go to dairy and meat substitutes. Substitutes like "vegan burger patties" and "vegan milk" are where being a vegan can get pricey, so only put a small portion of your budget toward items like these. A good vegan meal plan begins with good vegan recipes. Beans and rice is a staple in many countries throughout the world. That's because it's delicious and filling. Plus, with a few toppings and condiments, it can turn into a sumptuous, decadent meal! And you can make enough for a few leftovers. Burrito bowls allow for a vegan approach to Mexican cuisine. You don't need a tortilla to make a delicious Mexican meal. Be sure to add fresh avocado slices, salsa, cilantro, chopped greens, as well as corn and beans. Curried butternut squash stew with rice is delicious and hearty. A fast-and-easy, delicious, cheap stew that is great with rice for a rich, inexpensive, vegan meal. Ratatouille and quinoa are healthy and tasty favorites. Ratatouille is a fancy French name for a stew of tomatoes, onion, zucchini, and eggplant sautéed in oil and simmered with herbs. Make a big pot when summer vegetables are at their peak and enjoy this meal for a few days. Vegetable fried rice is a very tasty, Eastern vegan meal. Just add stir-fried vegetables, tofu, or even leftover cooked vegetables. Enjoy whatever you don't eat for lunch the next day. If you want to eat a luxe vegan diet on a budget, you need to cook your own meals. But with the right prepping, all that cooking can be easy and fun! Once you know how to plan and budget vegan meals and have decided to cook them yourself, you will be less likely to eat out (which usually racks up a hefty bill). Cook now and eat later. Double or triple your recipes and refrigerate so that you can have meals already prepared for the days ahead, especially if you're super busy. There are so many meals that can be frozen: sauce for pasta, chilies, stews—all delicious and vegan! You can defrost these items for a quick yet decadent meal in the future or pack them for your lunch the following day. For example, cook quinoa at the beginning of the week. With the quinoa ready, making meals will be a breeze day-to-day. Just pack it with you for lunch or cook it up for dinner. Be creative with leftovers. Before you start cooking each meal, look at your leftovers. You can probably add them to what you are making or eat them as part of your meal now. Leftover rice? Add it to a soup or add it to a stir fry. Leftover cooked vegetables? Add them to a salad or add them to a broth to make a soup. 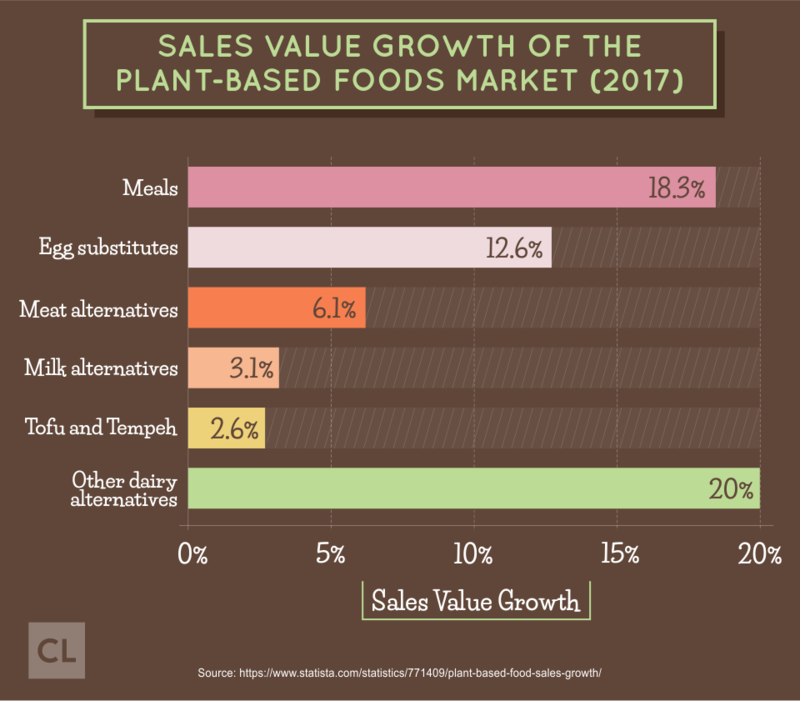 Vegan alternatives are often the biggest budget buster. Imitation meat and imitation animal products such as almond butter, plant-based milk, and vegan cheese are prepared foods that can be very pricey. You cannot stay on a budget if you're purchasing expensive vegan alternatives all the time. That said, you don't have to give up vegan alternatives completely. Just be conscious of their cost, make your own substitutes, and purchase alternatives selectively. For example, you can make your own hummus, salad dressing, and guacamole for huge savings. If you eat a lot of nut butters or drink a lot of nut milks, buy raw nuts in bulk (remember to use coupons and shop for the cheapest price)—then you can make your own for massive savings. You can use the nut butters as a decadent flavoring for soups, as a base for salad dressings, as a quick protein source and snack, or added to a spicy stir fry sauce. If you can't live without ice cream, make your own vegan ice cream for a fraction of the cost. You won't even need an ice cream maker! Vegan hamburger patties are expensive, but you can make a double recipe or more and store it in the freezer. You can make many of your own delicious patties for a fraction of what they cost in the store. Vegan cheeses are expensive to purchase from the grocery store, but you can easily make your own by using items you have bought in bulk or on sale. Smart shopping habits are the key to being successful. Would you rather spend hundreds of dollars a month on food or stay within a $30 weekly budget? If you follow our advice here, you can save money, go vegan, and eat well all at the same time! Find the stores that offer the best value. You want to buy the best food you can buy for the cheapest price. Look for stores in your neighborhood that sell bulk foods, stores that offer the best pricing for your favorite products, and stores that have good produce (local and organic). Check out weekly flyers for stores in your area to see where the good values and sales are. Once you get to know your stores and what they offer, you will be able to shop quickly and easily—not to mention cheaply! Those really keen on saving a pretty penny could always try moving to a city or state with more affordable produce, but only if it's a realistic option. Loyalty programs can save cash. If you're okay giving out a bit of personal info, signing up for a loyalty program can go a long way. Make sure to sign up for savings. You will often be able to view online sales that can then help you plan your upcoming meals. Some deals are only open to program members and card carriers, so make sure you have yours handy when you go shopping. Check and compare prices on grains and legumes, cooking oils, oatmeal, and other cereals. Wholesale clubs offer excellent organic produce and dried fruits that will often be a great bargain. Using coupons will help you maximize your savings. No secret here, if you can pay less for something you were gonna buy anyway, why not? Consider using shopping apps that will provide discounts and inform you about sales and promotions. Apps such as Ibotta, Checkout51, and Honey offer you discounts and rebates that can add up to big savings. If you can save $5–$10 a week using manufacturer coupons, store coupons, rebates, and discount codes, that will build up to a hefty $300–$500 a year! Shop store brands to save big money. Always look for store or generic brands. If you compare prices, you will often be able to save money on each item you purchase without compromising on taste or quality. Store brands are cheaper because they don't spend money on advertising and packaging. Good-value, generic brands of baking supplies, grains, starches, nuts, and seeds will often be significantly cheaper than brand names. Buy in bulk instead of breaking the bank. Save money by stocking up on non-perishable staples when you find them at the best price. Purchasing them in bulk might give you a high up-front cost, but it can pay off down the road in big savings. Not only that, but if you open your pantry and find a month worth of pasta, that's one less trip to the grocery store that week! If you have the time, you can even try your hand at preserving and pickling items so that they don't go bad, allowing you to buy even more items in bulk! When you stock up on staples, daily meal preparation will be easy and cheap. Consider a wholesale membership. Certain stores specialize in selling bulk, and they'll require memberships to buy there. Before purchasing a membership at Costco or Sam's Club, try to find someone who already has one and tag along one time to comparison shop to know if it will pay off. If it does, consider applying for a membership as well! Make sure to properly store and label what you don't use. Label surplus and keep it in your cupboards and your pantry, that way you're saving on more than just food. If you have any empty jars or containers, you can reuse them—just clean them out, clearly label them, and put them in the cupboard. Check out ethnic grocery stores and markets. At your local ethnic grocery stores, you will be able to find products that will enhance your menus—bulk spices, olives, salsas, flatbreads, and fruits, both fresh and dried. Visit your local Chinese supermarket, for example, to purchase a wide variety of tofu, noodles, vegetables, and cooking sauces at much better prices than your own local grocery store. Just be sure to read the labels to check they're safe for vegans. Consider purchasing a Community Supported Agriculture (CSA) plan. A CSA allows community members to directly purchase produce from farmers for a seasonal price. If there is a CSA plan near you, you can enjoy in-season, locally grown vegetables and fruits. Because the produce varies throughout the season, you'll have to spend a little more time planning your menus around the offerings. Be sure to freeze any fresh produce that you aren't able to use. Participation in a CSA only works if you use ALL the produce and don't let it go to waste. Try to buy dry. You can purchase canned or prepared beans, chickpeas, lentils and other staples, but you will save big if you prepare and cook them yourself. If you buy dry, these items will cost only pennies a serving. These staples last forever in your cupboard so you always have the makings of a delicious dinner or appetizing lunch. You just need to soak the dried items in water and cook them as needed. You can prepare your dried items using a variety of tools—for starters, try a crockpot, an instant cooker, or simply a saucepan on the stove. Stock up on dry items whenever you see them on sale. In-season fruits and vegetables are easy on your tastebuds and your budget. Few things are more luxurious than the flavor of fresh, wholesome fruits and vegetables grown and eaten in-season—and they're cheaper than buying out-of-season produce! Enjoy farm-fresh tomatoes, green beans, and corn in summer, root vegetables and citrus fruit during the winter, and fresh apples, pears, squash, and figs in the autumn. A seasonality table will help you find out the best time to buy seasonal produce. Try not to purchase pre-cut, washed, and packaged fruits and vegetables. They are more expensive and use excessive packaging. Instead, buy the best quality, best priced uncut fresh vegetables and fruits and prepare and wash them at home. 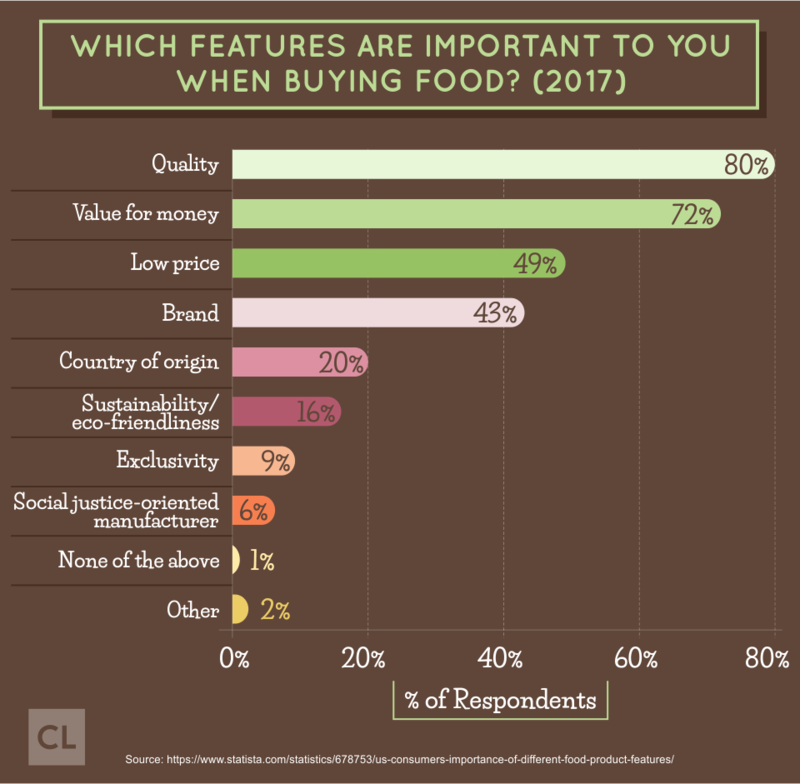 Remember that purchasing "local" is sometimes the most healthy and budget-friendly option. Grow what you can. Want the cheapest and healthiest produce? Grow your own fruits and vegetables. If you only have a little patch of ground, put in a rhubarb plant. If you have sunny windows, consider growing parsley and basil. If you have room for a raised planter box, you can have delicious peas, beans, and tomatoes throughout the summer. In the city, you can try growing on a windowsill, or at a community garden. When you grow your own food, you earn what you eat while saving what you've earned. Staying green means saving green! Quinoa, couscous, pasta, and rice can all be used in many ways. Buy in bulk when on sale and use them throughout the week for affordable, delicious meals. Beans and lentils will last you a while. You can make velvety dips, add them to soups and stews, and use them in salads. Nuts and seeds can be popped into your freezer to keep them fresh. Use them in a salad or as a snack on their own. Canned tomatoes are an unexpected money saver. Although a canned product, these are a great value when purchased on sale. Use them in soups, stews, sauces, chilis, and curries. You can even just toss a can of tomatoes and spices with pasta for an almost instant meal. If you have canned tomatoes, you'll never be out of ideas for meals. Nutritional yeast—it's often much cheaper to purchase this in bulk. Check the prices and stock up when you can. By eating better food, your body will be healthier—no surprises there! Follow these tips and you'll be eating like a king (or queen)! Trust us, you'll be amazed at the variety of flavors you can conjure up while following a budget-friendly vegan diet. Have you tried going vegan? If so, what's been the biggest challenge for you so far? Got any important vegan eating tips worth sharing?